Speak and Pack Talk Slim listens. Menu navigation experienced with everyday riding is handled through Cardo's Natural Voice Operation system. "Hey Cardo, music on", "Hey Cardo, next track", "Hey Cardo, mute audio"; keep your hands on your bars where they belong with Pack Talk Slim. The Cardo PackTalk Slim is high powered DMC (Dynamic Meshwork Communication) technology with a slim, stylish design. DMC allows up to fifteen riders to maintain uninterrupted communications within a spontaneous and fluid virtual network. Unlike other devices, DMC allows each rider to randomly join, leave and re-join the group without compromising the multi-party conference conversation and without pressing any buttons. The PackTalk Slim includes a set of long and short unit mounts as well as long and short battery mounts. 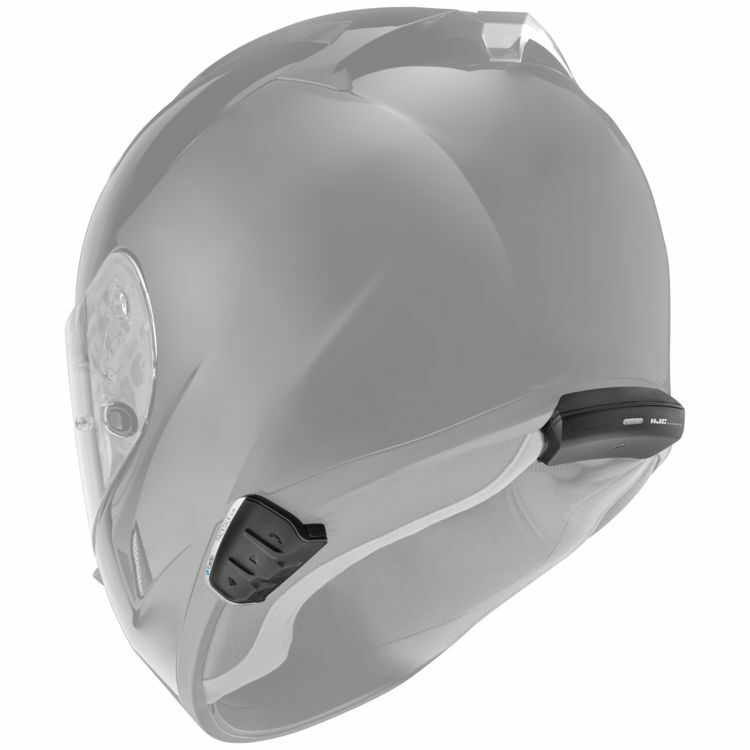 This modularity enables the PackTalk Slim to be compatible with most helmets. See "Helmet Fitment Information (pdf)" for a list of verified fitments with the recommended unit and battery mounts. Note: Helmet not included. Rear battery pack may be labeled as "Recommended by HJC helmets", see images for reference. Includes a single charging cable but not a wall charger. Use any standard 5V USB output charger.